A native of Belgium, John Beghin rejoined NCSU in 2017. Beghin was on the ARE faculty from 1988 to 1998. He then moved to Iowa State University where he stayed until the end of 2016. 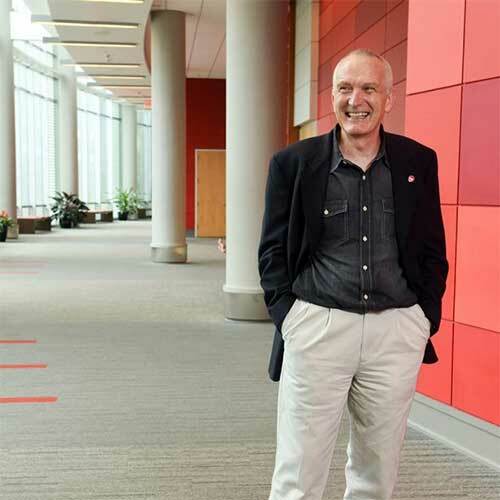 He had different responsibilities at ISU, leading the Food and Agricultural Policy Research Institute (FAPRI-ISU) and a division of the Center for Agricultural and Rural Development, and in the Global Food Security Research Consortium. He held one of the two Marlin Cole Professorships in International Agricultural Economics. Beghin has also held visiting appointments at INRA, the OECD, and the University of Sydney, and has been a consultant for the World Bank, the OECD, FAO, USGAO, USACE, and various private clients. Beghin’s core research interest and expertise are in the economics of international agriculture and food markets. He has extensively researched the impact of nontariff measures. Beghin is married to Yalem Teshome and they have a daughter, Ascale Carla.